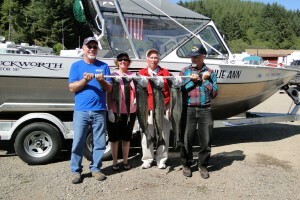 Catch What You Can – and – We’ll Can What You Catch ! Here at the Sportsmens Cannery we pride ourselves in our custom canning. 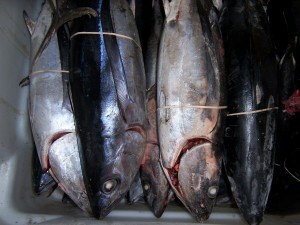 The manner in which we can our seafood is at the top of quality and cleanliness. Whether its your Albacore Tuna you caught over your vacation or the Salmon you catch in the river or ocean. 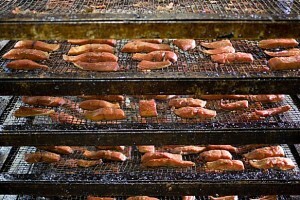 We will receive your fish, fillet it, smoke it, can it, even adding ingredients to your personal taste. After we can your sport product we will either hold it for pick-up or mail it to you via USPS. The Sportsmens cannery has been supplying Custom Canning for more than 50 years and have proven our performance to many of our long time customers. Fancy Canned(no skin-no bone) .15 cents extra per can -usually pertains to salmon. 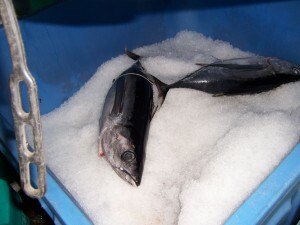 Not Tuna. Our facility provides seafood processing at the highest level. Our hand pack canning is one of a kind. Adding no oil or water and no preservatives other than sea salt, these cans preserve seafood in its finest manner. Cooking in nothing but its own natural juices it holds the authentic pure tastes for years to come. When ingredients & smoking are added to the canning process the fish is infused with flavor. If fresh fish is your desire the cannery & smokehouse can preserve your seafood in many different sized vacuum packed bags. Then we can freeze and hold product for pick-up. Bring us your fish, and we’ll do the rest ! 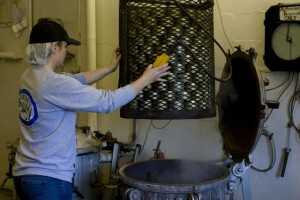 We have some of the most talented filleters on the Oregon coast. Nothing gets wasted, and you always get your own fish back! 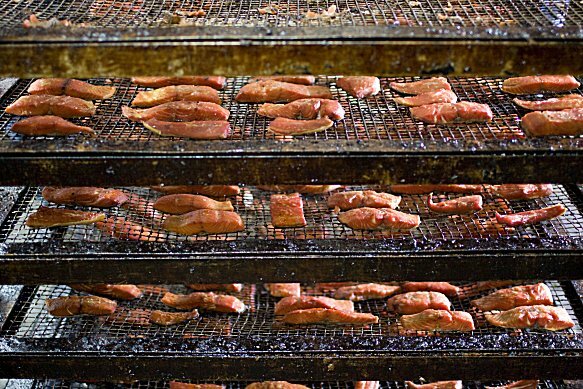 Our antique smokehouse creates some of the finest smoked seafood on the Oregon coast. The all natural alder smoke chips gives your product a gourmet taste. Whether its cold smoked for canning, or hot smoke recipes, our brine’s bring out the natural flavors of your fish. You can bring in your whole fish and have it filleted, custom smoked, canned, or vacuum packed. We even smoke oysters and octopus. So come by and try a sample at our fresh seafood market.